Bugzero change management issue tracking system is a software application that allows an enterprise to record and follow the progress of every problem or issue that a user identifies until the problem is resolved. In Bugzero, an "issue" can be anything from a simple customer question or request to a detailed technical report of an error or a problem. Internally or externally, intranet or internet, this software can be used by software developers and testers for bug tracking, manufacturers for customer and sales tracking, and IT help desks and other service providers for trouble ticketing (ActiveLog). Bugzero provides a web-based enterprise-grade cost-effective scalable solution to increase team work efficiency. It lets the user report an issue, track progression towards its resolution, and know who is responsible for resolving the issue. It is easy to use, yet still flexible and adaptive, and can be configured to accommodate an organization's unique business process and workflow. It just works. New: For our SaaS hosting, we can now set up a staging instance just for you to test use the tool for a short period of time. If you end up liking it, your data can be migrated to your final installation on our servers. Bugzero can also be installed in a virtual host environment that supports Java servlet/jsp and database access. - One click to add or remove fields, support 100+ fields of varies data types including date time, number, users, URL, and cross-project link ID. - Easily add or remove drop-down menu options and parent-child field dependencies. Add or change default field values at any time. - A few clicks to setup field-level permission and access controls including hidden and read-only based on user roles. - Flexible workflow to fit your unique process, easily configurable and customizable per project. - One click to copy and move issues within or between projects. - Bi-directional relationships between projects, for example, a bug report can be linked to a test case entry in Test Case. - Support both web interface and email interface (particularly for customer support) for internal and external users. Smart email submission handling. - Secure, passed extensive application security reviews conducted by various companies. - More than just bug tracking, can manage requirement, use case, and test case management altogether. - Meets ISO/IEC 20000 standard for IT service management. - Works in any languages using UTF-8, including Chinese, Japanese, and Korean. - Assigment to a group of users. Freeware open-source bug tracking tools such as Bugzilla bug tracking system, GNATS problem report database, or Debian defect tracking system usually takes a long time to set up, are not easily customizable (even for simple things like add or remove a field), and are not fully supported. Shareware defect tracking software does not cost much, but may not even have the basic functions to be useful. Expensive defect tracking systems may have a million poorly-written never used "features", but they certainly do not worth the cost ($300-$600 per user license fee and high maintenance fee). They are too complex, rarely configured properly, confusing, and cumbersome to be effectively used. Bugzero speaks for itself. It is user-friendly and powerful. 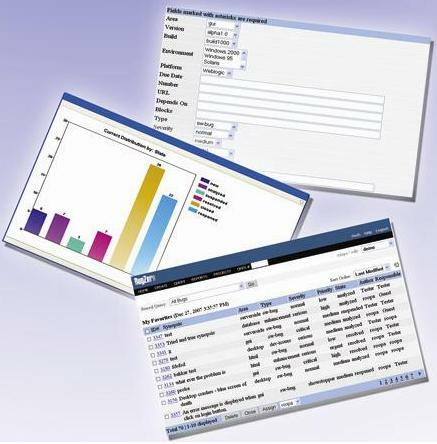 It has all the practical functions of a professional issue-tracking program, yet offers an intuitive, simple, and straight-forward user interface that requires no end user training at all (simplicity). You are in full control of the tool. Bugzero is also highly affordable, minimizes your overall cost by utilizing your existing hardware and software systems and integrating with them seamlessly (integration). And most importantly, Bugzero comes with timely enterprise-level support. You can count on us for your specific needs and can expect a no-nonsense response from us within minutes or hours at most. Bugzero is free of known bugs; any bugs once found are fixed within days. Data backup and recovery of Bugzero is simple. You need backup the entire bugzero folder just once since it never changes after install. All the data is stored in the database alone, and so you need back it up periodically. In the case of a hardware or software crash, you just need restore either the bugzero folder if the application server got crashed, or the database if the database server got crashed, or both if they were installed on the same computer. For your convenience, we have demo sites setup for you to try out the software without you downloading and installing it. You can login as dev, qa, or guest (the password is the same as the username). Note that, user guest has limited access, and also that inconsistencies can occur when multiple users are logged on using the same username. To see how the Bugzero system administration (i.e., project configuration and user-account management) works, or register online (please state explicitly this is what you want, i.e., to see the admin), and we will send you the admin url. You will see how flexible and configurable it is. To download a free try version or purchase a license, go to the Pricing page. For detail installation instructions, please go to the Install page. Bugzero does releases very often. A upgrade script is provided and the process is simple and easy. It is mostly an automatic process and should be painless. You can find the complete release notes in the download or you can read it right here. You can also see the future upcoming changes. If you found a bug, tell us and we'll fix it immediately (hours or at most days). You will never need to wait months or years for the next release. A good issue-tracking system is essentially a central repository for problem reports, which may be software bugs, hardware defects, customer feedbacks, trouble tickets, or any other collections of incidents and issues. The importance of such a system is its collaborative nature and its tracking and change-management capability. It is thus best to be used by a group of people in a geophysically distributed environment. Follow the link to read more about collaborative bug, defect, issue, and incident tracking tool and change management software. A Serbo-Croatian language translation of this page is also available here thanks to Jovana Milutinovich.